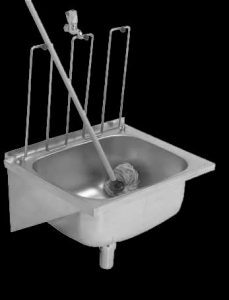 Cleaner / Drip sink (Franke Model DSBC ) unit manufactured from 1,2 mm thick grade 304 stainless steel 0, 9 mm thick gauge with grid. 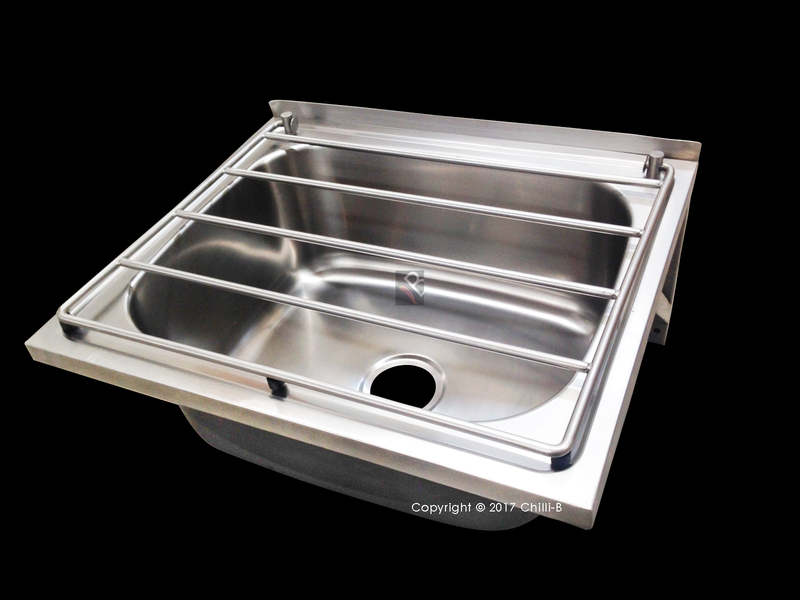 Sink is 600 x 500 x 248 mm deep with a pressed bowl of 525 x 425 mm and 40 mm waste outlet with a capacity of 43 litres. The unit is fitted with a stainless steel hinged bucket grid which is manufactured from a 10 mm stainless steel round bar and is supplied with a pair of stainless steel Eagle brackets. The cleaner/drip sink is usually fixed to wall 600 mm high from the top of the front apron to the finished floor level with 4 of anchor bolts (bolts specifed elsewhere) This drip sink or cleaner sink is a multi environment cleaning sink used in factories, hospitals, shopping centers and other industrial and commercial sites. A tap bracket can be supplied as an optional installation accessory. This is a bracket which is fitted underneath the tap as support for the bucket to avoid over load to tap. Grade 304 (18/10) Stainless steel. Wall mounted drip sink with stainless steel gallows brackets. Wall mounted drip sink with galvanised brackets.